Shane Lowry still leads the way at the halfway point. 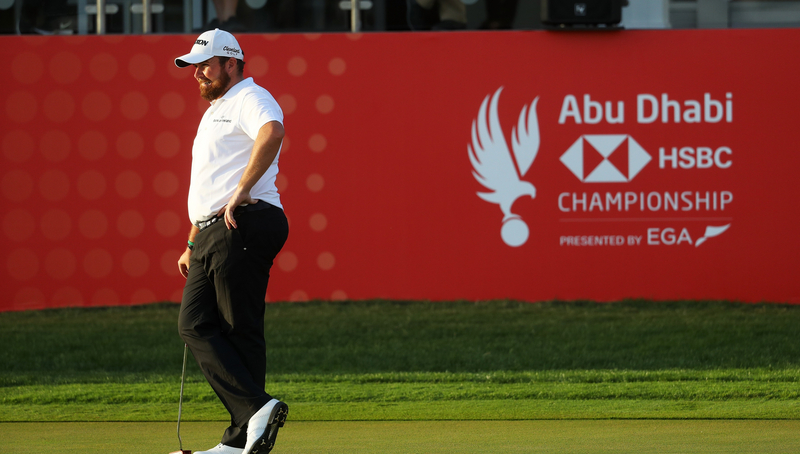 Shane Lowry was still the man to catch at the halfway stage of the Abu Dhabi HSBC Championship after following up Wednesday’s course record-equaling 62 with a battling 70. After a rocky start to his second round, three-time European Tour winner Lowry found the form that helped him match Henrik Stenson’s 13-year-old record on day one at Abu Dhabi Golf Club, bouncing back from two early bogeys with four birdies to get to 12 under par. South Africans Louis Oosthuizen and Richard Sterne were a single shot behind Lowry in a tie for second after posting second-round 68s. Early clubhouse leader Lee Westwood was in fourth place on 10 under, with Scotland’s Scott Jamieson, Dane Soren Kjeldsen and Englishmen Ian Poulter and Tom Lewis another stroke further back. Meanwhile, two-time defending champion Tommy Fleetwood held his nerve to fire the birdie he needed at the 18th to make the cut. Irishman Lowry said: “I’m really happy with that. I knew today was going to be a bit of a weird day after shooting such a low score yesterday. Oosthuizen added: “Trying to win any event and going into the weekend really close, it’s always exciting. I try and get my game so that I try and compete every week or at least top 30 every week. Southport native Fleetwood came into the tournament looking to make it three titles in a row after claiming the title in both 2017 and 2018. But after struggling for the first half of the event, he is just happy to still be in contention. “It was nice to get one in. My putting was pretty awful today,” said the Team Europe Ryder Cup star. “I just struggled on the greens. The things that I wanted to do better from yesterday, I did, but just a couple of short ones missed and then just holed nothing at any makeable range. 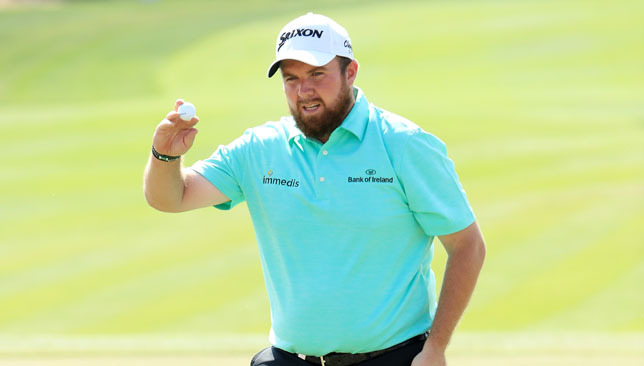 Practice made perfect for Ireland’s Shane Lowry as he equalled the course record with a stunning 62 in the first round of the Abu Dhabi Golf Championship. Lowry carded 10 birdies and no bogeys to set a daunting clubhouse target of 10 under par, with France’s Mike Lorenzo-Vera and the South African pair of Louis Oosthuizen and Richard Sterne his nearest challengers on seven under. 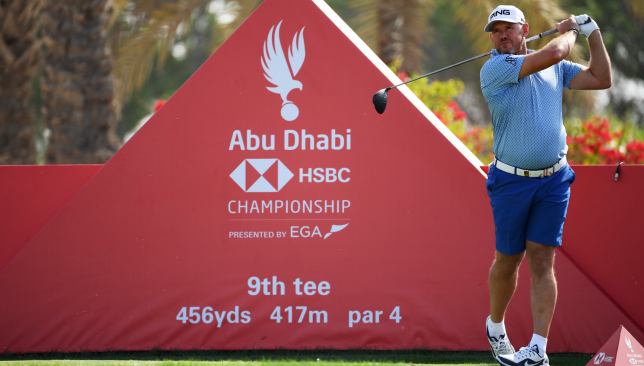 World number two Brooks Koepka, who can return to the top of the rankings with a victory this week, is five shots off the pace following a 67, with defending champion Tommy Fleetwood two shots further back in pursuit of a third straight win in the £5.4million event at Abu Dhabi Golf Club. “I had a lovely break at Christmas,” said Lowry, whose 62 equalled the record set by Henrik Stenson in the inaugural edition of the event in 2006. “I was home for the whole lot of it and I came out here with my family and rented a house in Dubai. “We’ve had it since the third of January. Myself and Paul Dunne are sharing the house and we’re practising together and we’ve been playing a lot together over at the Els Club in Dubai, and we got some great work done. “I feel good about my game. It’s probably the best pre-season I’ve ever done, and it showed today. I’m just hoping I can keep going. “I didn’t hit as many fairways as I would have liked, but I was hitting everything close and managed to hole a couple of putts as well. It was one of those days where it just felt comfortable. Lee Westwood is already eyeing the Ryder Cup captaincy in 2022, but admits he must stay “in touch” with the new generation in the meantime – or end up like Tom Watson. The former world No.1 had ruled himself out of contention for the reins in 2020, with Padraig Harrington subsequently selected to lead the European charge at Whistling Straits. The century-old tournament will arrive in Italy for the first time ever two years later and Westwood believes he’ll be at the right age, at 49, to assume leadership. However, he has every intention of playing alongside his potential selections on the European Tour until then, fully aware of the problems Watson encountered. In 2014 the eight-time Major winner presided over USA’s disastrous tournament at Gleneagles, having been 15 years removed from regular appearances on the PGA Tour. “I’d love to have it in Italy. I’ll not lie to you,” said Westwood of the captaincy. “That would be ideal for me to be captain in Italy. I think this time around (for 2020), I proved the end of last year, that I can still win tournaments, and I feel like I can still qualify for a Ryder Cup team. “After that, Italy, I’ll be 49, and that’s the ideal time to be captain in my point of view. I’ll still be playing out here. I’ll still be in touch with the players. “You’ve got to be out here so you can keep an eye on the new talent coming out and you know in autumn the players that are going to be there or thereabouts. So you’ve got a connection with them. 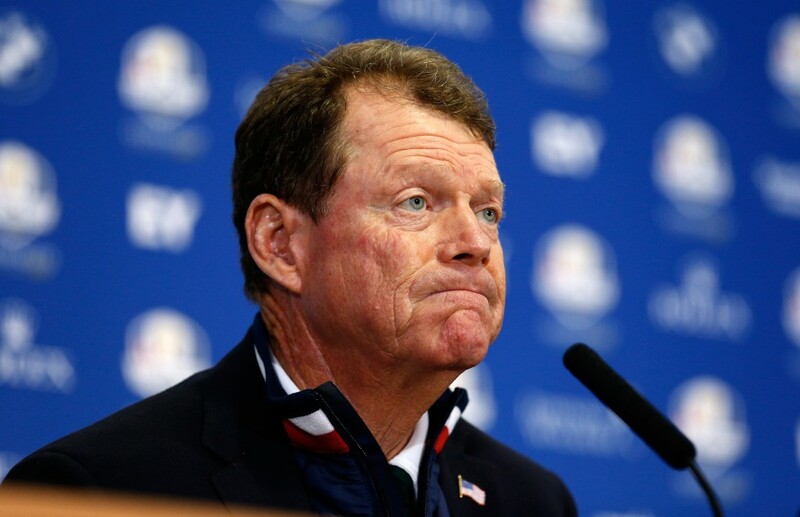 Tom Watson’s USA Ryder Cup captaincy was a disaster in 2014. Not that Westwood is out hammering balls every day – the 24-time European winner revealed on Tuesday ahead of the Abu Dhabi HSBC Championship he now spends more time sharpening his mind. “I don’t really work on (his game) that much anymore, the physical side of it,” added Westwood, who lifted the 2009 DP World Tour Championship. “I work on the mental side of it and when I come out, I more or less practice my short game, and once I hit a few balls and got back into the swing of things, that doesn’t take long to get back.